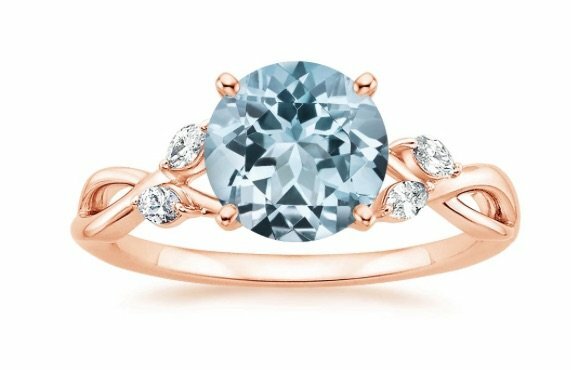 When Pantone named Serenity (a crystalline blue) and Rose Quartz the colors of 2016 we weren’t surprised, since we’ve noticed that both aquamarines and rose gold settings have become increasingly sought after by jewelry lovers. 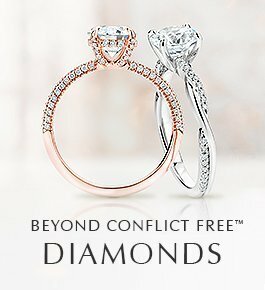 But we’ve been happily surprised to see a growing number of couples choose to pair these two colors in engagement rings! 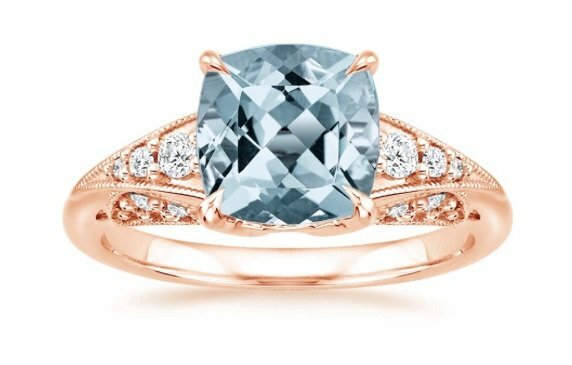 The color combination of aquamarine and rose gold engagement rings is alluringly distinctive, and we think that this trend will definitely stand the test of time. Aquamarines are beloved for combining a beautiful shade of blue with exceptional clarity. Their name means “water of the sea” and aquamarines are part of the beryl family of minerals, which makes them cousins of emeralds. 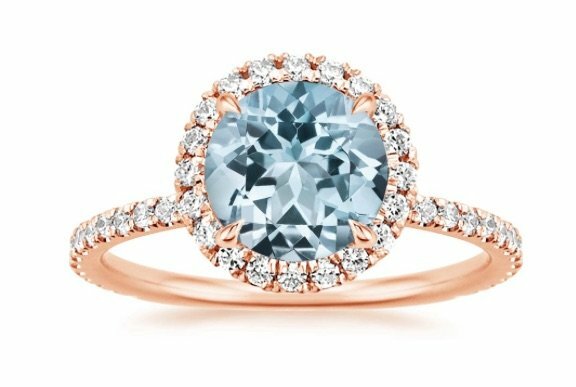 Other couples who love light blue hues are choosing sapphire engagement rings in shades of light teal and placing them in rose gold settings. 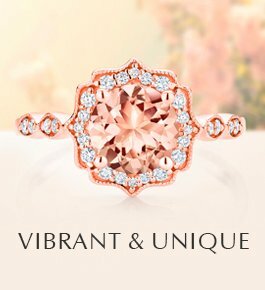 Rose gold has a feminine warmth that provides a lovely counterpoint to a blue gemstone. Intrigued by this whimsical color combination? 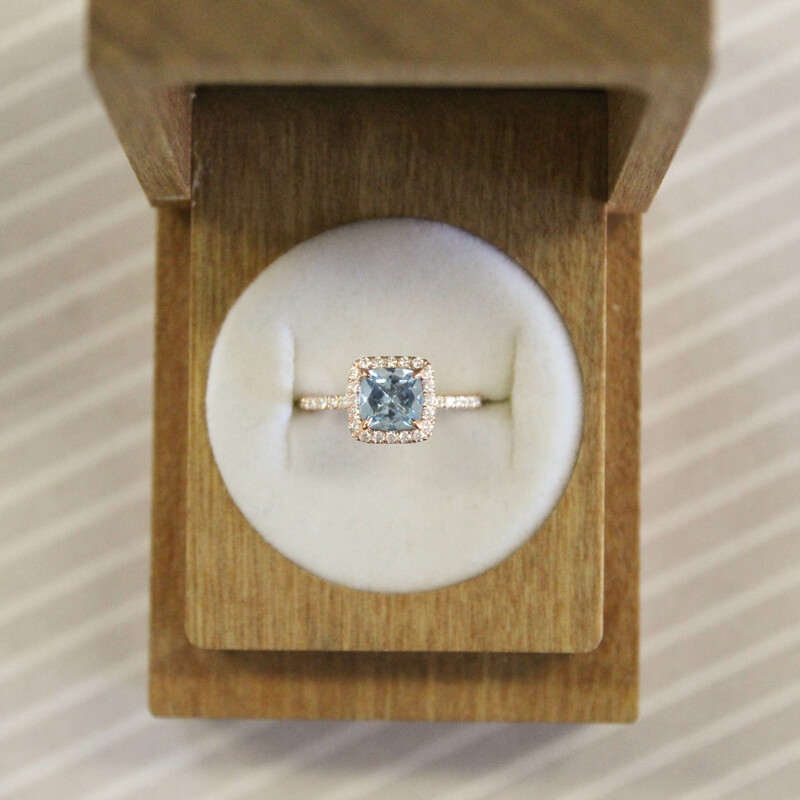 Discover some of our most popular aquamarine and rose gold engagement rings below. Our always sought after, nature-inspired Willow gets a fresh and feminine look in the Aquamarine Willow Ring. Wispy vines of rose gold rise to showcase a shimmering aquamarine and the bright sparkle of diamond “bud” accents highlight the gentle colors of rose and pale blue. A classic and glamorous take on the aquamarine and rose gold trend, in the Aquamarine Waverly Ring the center aquamarine is encircled with a halo of micro-pavé diamonds, which also embellish the band and gallery of the ring. 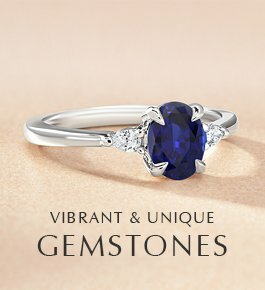 Rose gold claw prongs create an alluring contrast with the lovely blue gemstone they secure. A romantic, vintage-inspire design, our Aquamarine Aberdeen Diamond Ring features a center aquamarine accented by delicate filigree designs along the shoulder and the gallery. The Art Deco-inspired Aquamarine Serafina Ring embellishes a cushion-cut aquamarine with sparkling diamonds along the shoulders and the gallery. Milgrain-embellished geometric frames add to the ring’s glamorous retro look, and appear especially eye-catching in warm rose gold. 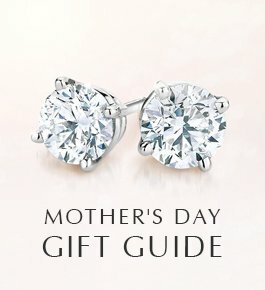 Do you like rose gold and aquamarine engagement rings? 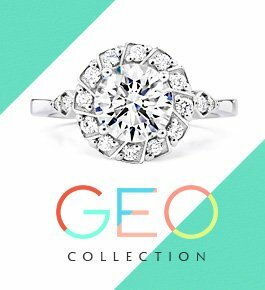 Let us know your thoughts on Facebook or Twitter, or in the comments section, then discover more stunning aquamarine and rose gold engagement rings. 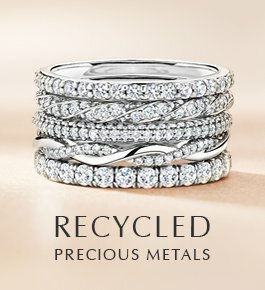 Beautiful Collections rings!??? This information is from PCH Lotto 1 1Million Life is Rich! ?God Almighty Jesus Christ promise me My Dream Home in Vision Dreams!? I am Walking with Faith for Miracle to buy My Dream Home in January 2019!? Every day I am try in PCH lotto for Miracle in My Life; only $250,000.00 is going helped me to buy My Dream Home! ?In Florida The homes is like crazy the price is increase! Prayers and Prayers for Miracle in My Life! ?I have difficulty Time! I am lived in Mobil Home; Mobil Home is dont safety Home! My name is Margarita Martinez- Address 3892 Covington Dr Saint Cloud FL 34772! ? 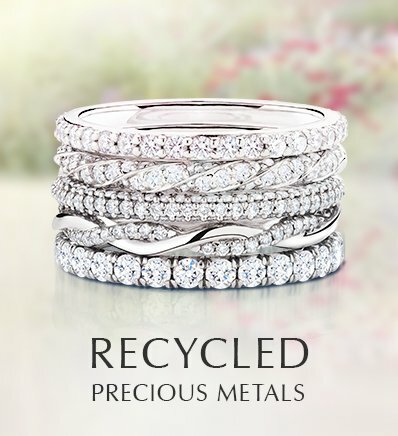 I loved every Rings Collections! GBY your Family’s, Employees+Family’s and Brilliant Earth Company in Jesus name, Amen! ?P.S sorry and apologize worry! GBY Forever! 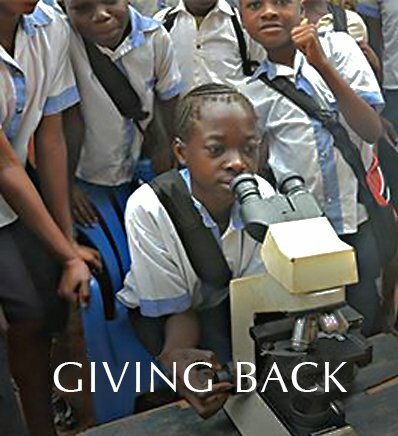 ?Please sending President-Owner Brilliant Earth. Brilliant Earth is advertising sponsor in PCH!? GBY, Amen!? Vnomar! ? 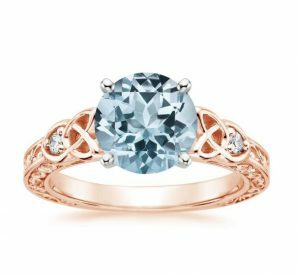 Beautiful rings – love the color of your aquamarine and the rose gold settings make them pop!